FT Manovia has developed a new production technology for the inductive curing of an epoxy bonding.. 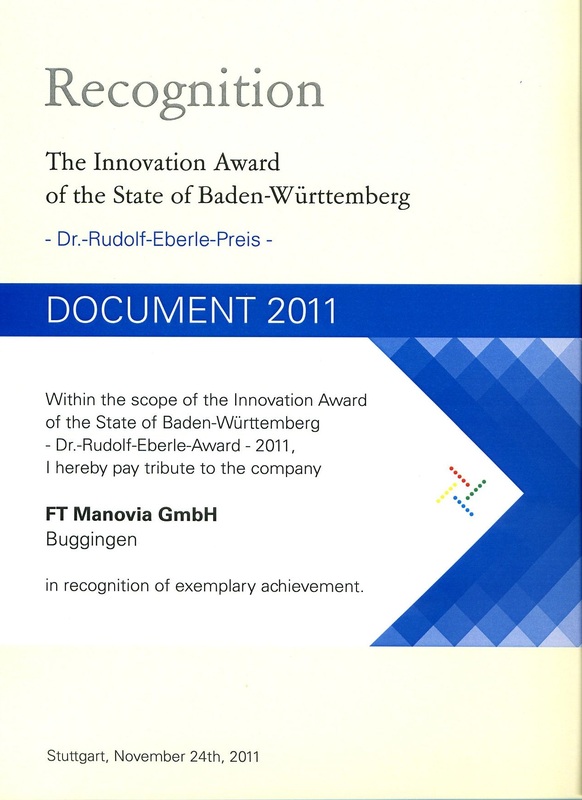 In October 2011, FT Manovia was awarded by the state of Baden-Wuerttemberg with the Dr. Rudolf-Eberle Innovation Price. This award is granted annually to small and middle size companies for their exemplary efforts in the development of new products and procedures. Since 1st September 2010 we have changed our production to pressure gauges with stainless steel tubes, glued in. This execution is a requirement of the American UL. The advantage of this modification is the high corrosion resistance of the bourdon tube. It was with great pride that we celebrated FT Manovia’s 10th company anniversary in September 2008! We'd like to thank all our partners and customers for their support and cooperation. 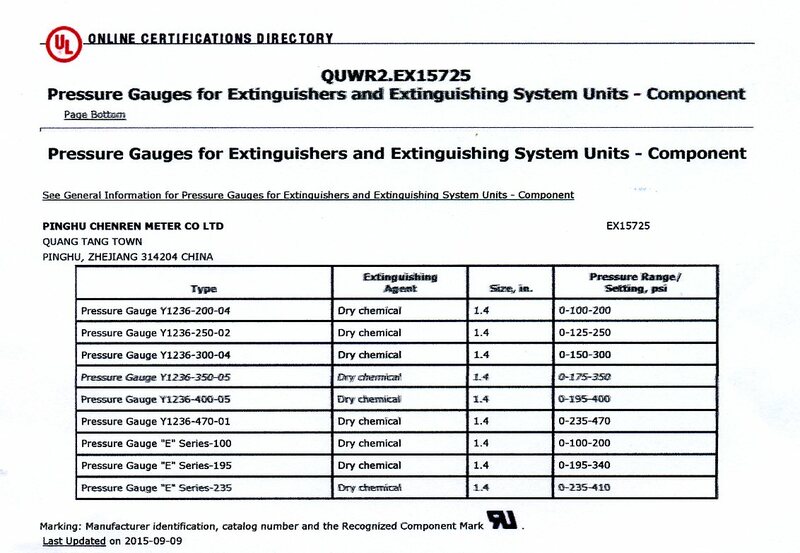 In 2006 we received the American UL approval for our gauge NG 36 mm diameter and the Japanese approval for our gauge NG 23 mm diameter, making us the only manufacturer in the world with three international approvals for fire extinguisher pressure gauges.